My 92-year-old father continues to live alone in his apartment in Milwaukee. He has a devoted home care staff, an excellent on-call nursing staff and a team of doctors dealing with various chronic ailments. Reading, his favorite entertainment, is limited by fatigue and macular changes. He wonders aloud at what people will do… to keep going on. When is age (i.e. old age) a diagnosis? 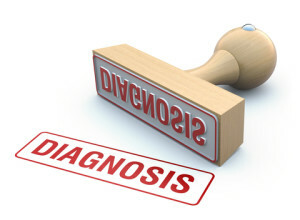 Can one benefit by making it a diagnosis? How should a physician – or family member – respond to it? Although I had instinctively respected age as a factor in my practice of medicine I had not heard the expression (“Age as a diagnosis”) or crystalized the thought until I read a short piece in the New York Times, The Unspoken Diagnosis: Old Age by Paula Span (Dec. 29, 2011). This concept came up daily when octogenarians were referred for colonoscopies. No matter how frequently I returned them to their internists with an eloquent description of how the procedure was very likely to be a waste of time, the referrals kept rolling in. Apparently the internist did not have the time to tell the patient that after a certain age the odds of dying of something other than colon cancer were 99:1. Elsewhere in my medical career I would occasionally be faced with a patient, clearly sick and frequently suffering but without a specific diagnosis. Begging for relief, they would ask for palliative care. Usually I am the first physician to leap for palliation but I would sometimes respond that without a diagnosis we cannot give a prognosis. Without a prognosis we cannot make appropriate treatment plans which might include formal palliation. The most immediate example was not a patient but a friend. He suffered from a painful peripheral neuropathy for a year before a final diagnosis of para-neoplastic neuropathy of lung cancer was made. If he knew of his terminal diagnosis from the inception, he might have made different choices regarding treatment timing and duration. If we recognize a condition we can turn it to our advantage. The benefit of recognizing age as a diagnosis is to view it as an additional reason to avoid medical intervention that is not likely to help. Do not go to that extra consultant. Do not take a medicine appropriate for a 60-year-old (e.g. a statin) if it causes side effects less tolerable at age 90. Do not have an intervention (e.g. a pacemaker) that might prolong life past a desired endpoint or prevent death by a quicker process. Ultimately, the problem with age as a diagnosis is the sadness it engenders. 3 Responses to When Is Old Age the Diagnosis? Great post. I had this discussion with the soon to be 93 y.o. lady who sits by us at football. She has some issues that sent her to the gastroenterologist, who pointed out that all the tests 11 years ago were negative, and gently inquired if she would have surgery given her heart issues. Of course not. So she went home. They did however have to leave the game at the end of the third quarter so they could drive home (from College Park to Frederick) while it was mostly still light out. So the diagnosis hasn’t entirely caught up with them yet. Good to hear that GI doc got it right. P.S. Debbie doesn’t like to drive after dark either.